When it comes to the Hypermotard 1100 EVO, Ducati has adhered to a tried-and-tested formula grounded on minimalism and functionality. The Hypermotard’s unique and innovative design stands out head and shoulders above the competition, highlighted by a distinctive beak that blends into the stylish headlamp fairing, making it an instantly recognizable bike. Couple that with a carefully shaped tank that tapers into a skinny waistline and you have a bike that looks and feels like a proven winner. 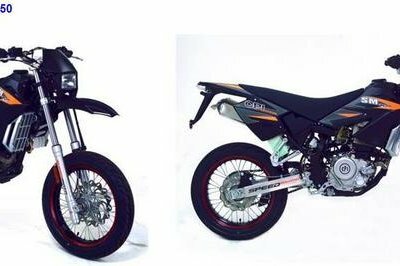 When the bike was first shown in concept guise at the 2005 Milan Bike Show, it represented the creation of a new segment that bridged the gap between refined sportbikes and minimalist supermotards. 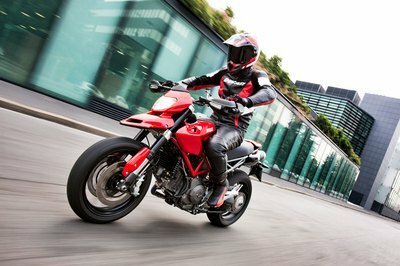 Despite initial reservations on the look of the bike, Ducati signed off on the production of the Hypermotard, driven by the belief in the upright and in-control riding position of a dirtbike, but not the harsh characteristics of its single cylinder engine. 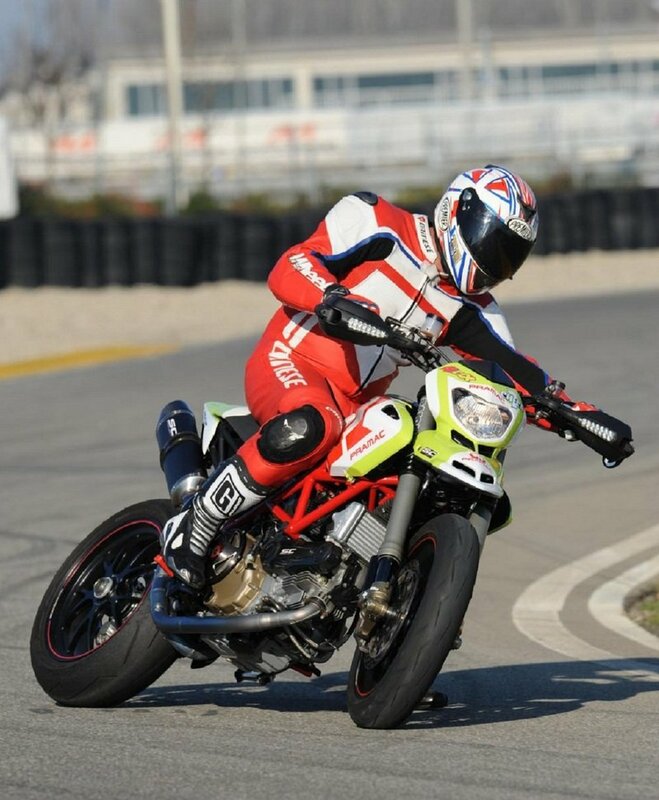 In the end, the Hypermotard has proven to be a popular choice among Ducati aficionados. 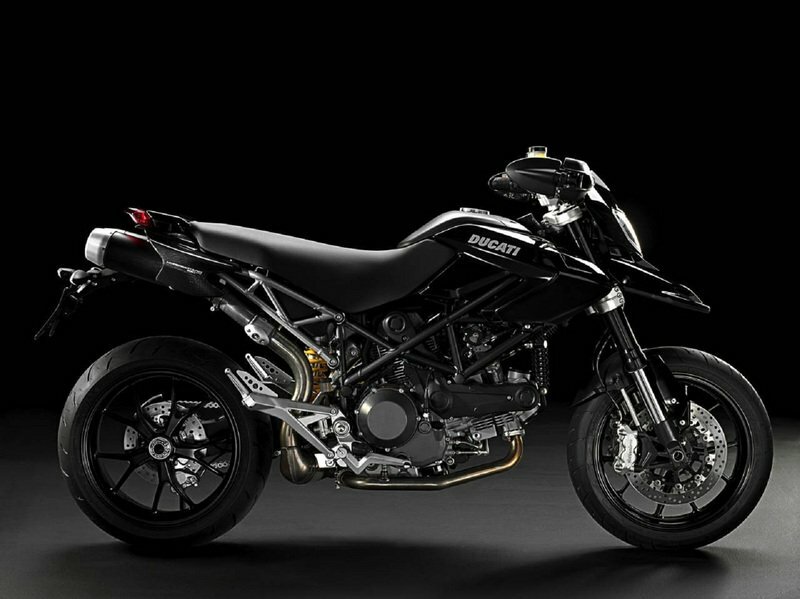 From the sturdy look of the Marzocchi front forks to the Ducati signature single-sided swingarm and underseat exhausts, the Hypermotard’s design remains unique and pure Ducati. The result is a bike that’s not only easy to handle, but also offers unbelievable agility, incredibly sure-footed handing, and a flexible engine that can tackle any road. Find out more about the Ducati Hypermotard 1100 EVO after the jump. The 1100 L-Twin stands at the pinnacle of more than three decades of Desmo air-cooled development and its torquey power delivery has excited riders worldwide. The Desmodue Evoluzione combines reduced weight and increased power to make it the perfect engine for the Hypermotard 1100EVO. New crankcases, a lighter crankshaft assembly and a new magnesium alternator cover combine with the use of lightweight rare-earth magnets in the alternator assembly to achieve the staggering weight reduction of 5.3kg (11.7lb). The clutch and alternator covers are finished in carbon grey for the 1100EVO and in gold for the 1100EVO SP. A redesigned cylinder head with improved inlet port shape for optimum flow also combines a modified combustion chamber shape for improved burn efficiency. This improved efficiency is the result of a higher compression ratio and a new single spark per cylinder ignition, now managed by high-speed Siemens electronics. Constant investment in quality by design, advanced materials and engineering techniques has enabled a distance between service intervals of 12,000km (7,500 miles) making Ducati ownership even more enjoyable than ever. An improved frame layout eliminates almost all of the forged elements used on previous Hypermotards, replacing them with precision machined components. The lightened frame retains its torsional strength to become even more agile and easier to handle than before. Through decades of racing and development, Ducati has proven that innovative chassis engineering and evolutionary frame advancements win races. 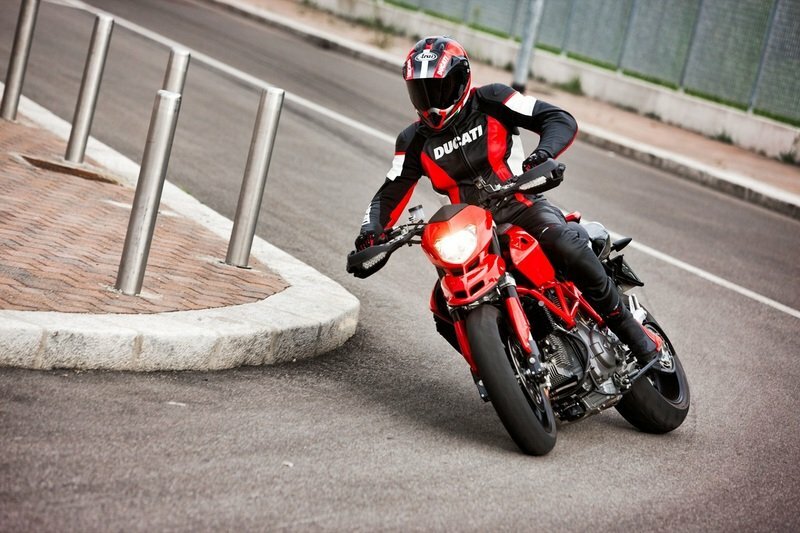 The tubular Trellis frame, used on every Ducati motorcycle, is a signature design element. This unique Ducati frame is light, rigid and beautiful thanks to its ingenious Trellis design and use of high quality ALS 450 tubing. Each tube is mitred and micro-fusion welded in a complex triangulated pattern and our incredibly strong L-Twin engine cases are functional ’stressed members’ of the chassis. 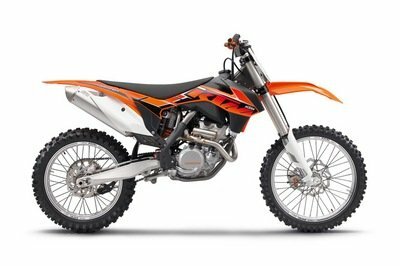 The rear suspension performs with precision by using a fully adjustable ZF Sachs shock mounted to the single-sided swingarm. 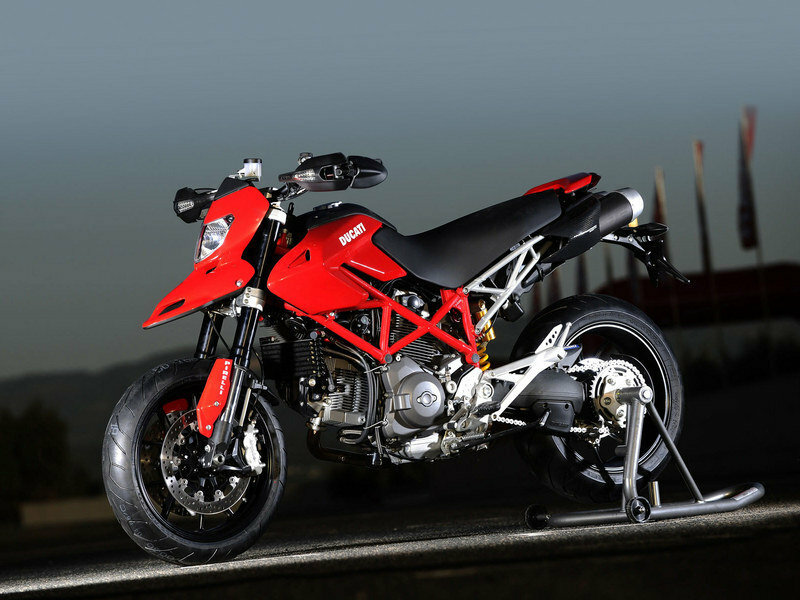 The rear suspension of the Hypermotard uses Ducati’s signature Hypermotard single-sided swingarm. The robust solution contributes considerable engineering style and, on this type of motorcycle, is a feature unique to Ducati. 50mm Marzocchi forks are gripped by a sturdy triple screw lower fork clamp for precise steering performance. These forks work as impressively as they look, with special high rigidity stainless steel sliders and external adjustability for compression and rebound damping, plus spring pre-load. 17” 5-spoke wheels by Enkei are produced in lightweight aluminium to keep the unsprung weight low and handling, braking and acceleration performances high. The instrument display also doubles as a control panel for the activation of the Ducati Data Analyser (DDA) system, which is available as an accessory from Ducati Performance. The bike has been built ‘system-ready’ for the data acquisition kit, which consists of special DDA software and a memory key that slots into a plug under the seat. The same plug also doubles as the connection for a handy new battery charger available as an accessory from Ducati Performance. The headlamp uses a highly compact lighting shape which blends with the single piece nose fairing and front fender moulding, while the rear light employs a specially designed strip of LEDs enhanced by a high diffusion lens shaped into the sleek lines of the tailpiece. The same LEDs are intensified under braking. The front directional indicators also employ the latest in LED technology for illumination, and are ingeniously integrated into the handguards which support the foldable rear view mirrors. The high intensity LED rear light assembly is moulded into a unique tailpiece positioned high behind the seat. Visordown----"Styling wise, Ducati’s kept the silhouette almost exactly identical to the model they first previewed in 2005 and released in 2007. It’s a strong design no-one else has copied. 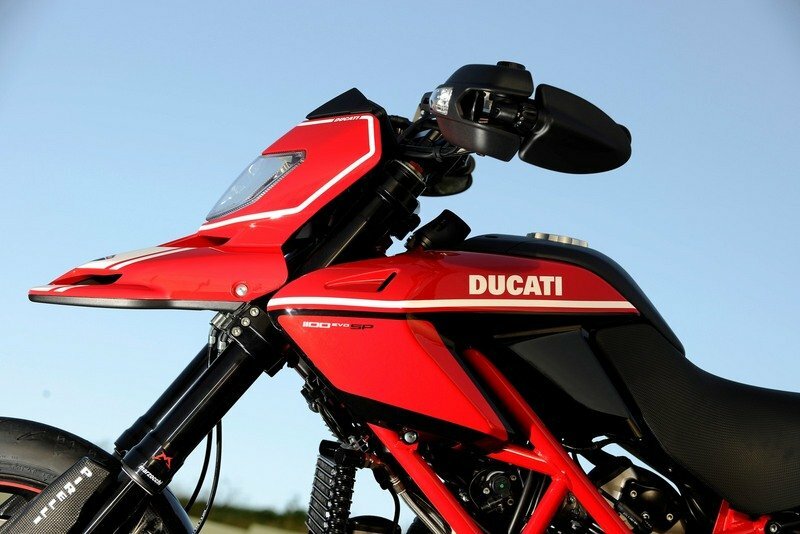 No big surprise then that Ducati hasn’t felt the need to gamble on a new look. However, the switchgear and digital dash have been passed on directly from the Streetfighter and they’re a welcome improvement. The display is clean and clutter-free, with rising revs tracking left to right. Speed and temperature are the only other display distractions. Other manufacturers please take note." 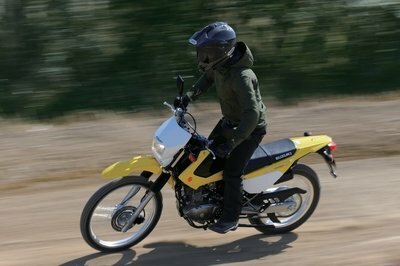 New Motorcycle Release----"All models have a 2012 revised version, the driver’s seat improved comfort with a high forehead and back length and will be presented to the pricing model 2011 years. 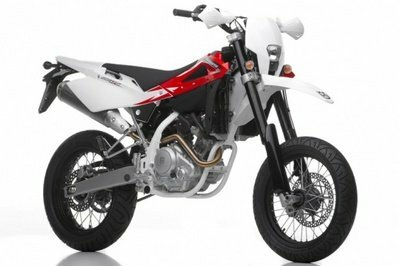 ” The Hypermotard is the most recent SP 1100EVO which edition will be available in Corsica in 2012. Ducati said. "